Meet the Eifel from this stylish apartment. The apartment is completely in old half-timbered style which makes it very attractive, but as a guest you enjoy every modern comfort. The two-person apartment is located on the ground floor and on the 1st floor in the beautiful Morsbacher Court, an old farm. To the court belongs a small restaurant and lovely courtyard terrace where you can enjoy coffee and cake after a day of hiking en exploring. National Park Eifel is perfect for hiking. Also boat trips through this parks nature are possible. 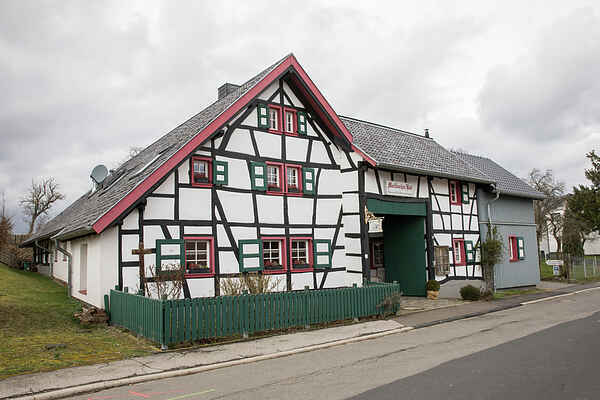 Nearby is the famous town of Monschau, which which is famous for its many half-timbered houses. Especially with the Christmas markets, a visit is very worthwhile.